The Jewish people do not need foreign sources of historical evidence and archeological findings to strengthen the credibility of the Bible. The Torah’s testimony is far more reliable than any extraneous evidence or finding, no matter the source. However, impressive historical and archeological research has been carried out over the past century which focuses on the time period in which the Book of Esther took place. The Book is full of details relating to that period, such as characteristic names of people, information about the royal compound in Shushan, details of furniture and special vessels, laws that were typical of that period, background details and more, which archaeological discoveries have verified. Scholars found in various ancient documents and archaeological excavations — which are still continuing to the present — a tremendous amount of material parallel to the descriptions which appear in the Book of Esther. The material emerging from the dust reveals to us the lives of the people of that generation, as the verse says, "Truth will sprout from the land." Most scholars identify the King Ahasuerus mentioned in the Book of Esther with the king known in Persian history as Xerxes I, who ruled the vast Achaemenid Empire. This name is pronounced in Persian slightly different from how it is pronounced in Hebrew. It should be noted that in the Book itself Ahasuerus's name (usually spelled אֲחַשְׁוֵרוֹשׁ) is sometimes spelled אחשורש and once is spelled אחשרש, but the name is always read Achashverosh. Besides the similarity between the names Xerxes - Ahasuerus, there are other reasons to identify Ahasuerus with Xerxes I, some of which we will bring below. The Greeks called him Khshayarsa, since their language uses the “s” sound extensively. By identifying him by this name, it is possible to derive important information about King Ahasuerus and his times from the writings of the ancient Greeks, who had extensive information about him due to the fierce battles he waged against them as the head of his mighty army. Historical sources indicate that Xerxes was the son of Darius, but he was not the heir apparent. Despite that, he managed to supersede those who preceded him in line and was crowned king. This information fits well with statements which are usually viewed contradictory. The Midrash and Targem Sheini both say that Ahasuerus was the son of Darius, but the Talmud states that Ahasuerus "made himself king — for he was not fitting to be king. He gave much money [to nobles and dignitaries] and became king." The Talmud’s words were carefully chosen. They don’t say that Ahasuerus was not of royal blood, but that he was unworthy of royalty. In other words, he was not the natural candidate to be king, and there was someone else in line before him (See the Nezer HaKodesh’s interpretation on 1:1), but he managed to pave his way to the throne through lavish bribes. The Talmud lists Ahasuerus as one of the four kings "who reigned supreme." This means that their kingdoms encompassed the entire inhabited world of their times. Indeed, in an inscription that was written at his command on the wall of the Van Castle in an area that belonged to his kingdom (which is now in Turkey), Ahasuerus boasts that he was "king of the world." The Book of Esther testifies that this was not an empty boast but was absolutely correct. As even the Greek historian Herodotus noted in his writings, this king reigned over all the known world. That fact serves as a backdrop to Haman’s words to Ahasuerus that the Jewish people were scattered and dispersed among all the provinces of his empire, their religion is different from the other nations’, and they don’t keep the king’s laws. Therefore, it is not worth the king’s while to leave them and he should get rid of them by completely destroying the Jewish people from the face of the earth. Ahasuerus had the capability to do so since all the Jews lived in his empire. Indeed, the areas where Ahasuerus reigned are recognized by scholars as a historical and archaeological fact, and they wrote that the areas of Ahasuerus’s kingdom which are outlined in the Book of Esther encompass all the countries from “India to Ethiopia”, and precisely define the borders of the Persian Empire. The Book of Esther describes Ahasuerus's greatness as the ruler over the four corners of the earth, and this matches how Khshayarsa is described in the inscription — “the king of countries where many peoples dwell”, "the king of the entire world”, as well as the account of him which Herodotus gave above. The tractate of Megillah brings a dispute between Rav and Samuel. “One said India was at one end of the world and Kush (often translated as Ethiopia) was at the other end of the world. The other said, India and Kush were adjacent to each other. Just as he ruled over India and Kush, so did he rule from one end of the world to the other." It is clear that the words "India was at one end of the world and Kush was at the other end of the world" does not mean the ends of the earth, because if they would be distant from Persia and on the other side of the world, they would be next to each other. It means instead the corners of the known civilization at the time, which the sages called “the world”. The lands beyond his empire were considered uninhabited or inhabited by uncivilized tribes. In view of what we known today about the map of Ahasuerus’s kingdom we can say "both of them are the words of the living God." India and Ethiopia were the borders on the opposite sides of the empire, and were viewed as the end of the inhabited world in those days. But they were also relatively close to each other in view of the huge expanses of the empire and the places that were further away. Just as he powerfully ruled over India and Ethiopia that were close to each other at the empires’ borders, so did he rule over the far-off provinces. 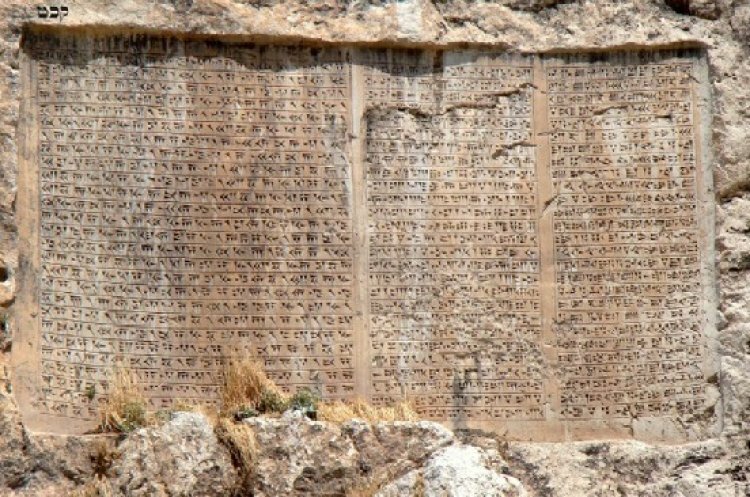 Ahasuerus ruled over one hundred twenty-seven countries, but the army is mentioned in the Book of Esther as the “Persian and Median Army.” We also find that the laws of the country are referred to as "the laws of Persia and Media.” Persia was the main kingdom so why is Media always mentioned with it? 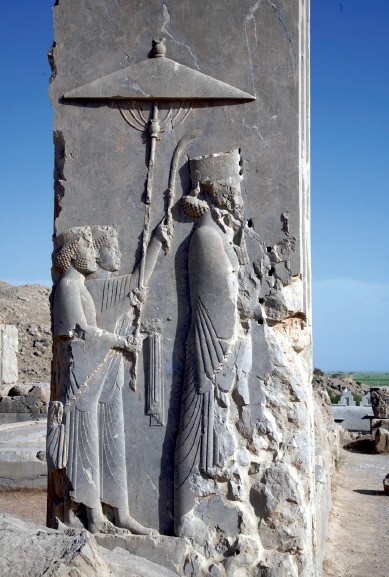 Jewish tradition and other sources always mention these two countries together because of the family ties between the kings of both countries, Cyrus and Darius. The Persians and Medians had combined their armies together and conquered Babylon. They then gained control over all the many countries that were vassals to the Babylonian empire (see the Nezer HaKodesh’s explanation on 1:1). Indeed, findings from excavations in Ahasuerus’s palace clearly show Persian soldiers serving alongside Median soldiers, each dressed in their different attire, with their military formations indicating total equality between them: Persian soldiers stand next to and between Median soldiers.